After a very mild December (2018), January decided Winter really needed to show up. Last week, storm 'Gia' marched from the south and dumped 8" of powdery snow overnight and we woke to a white wonderland on Saturday morning. 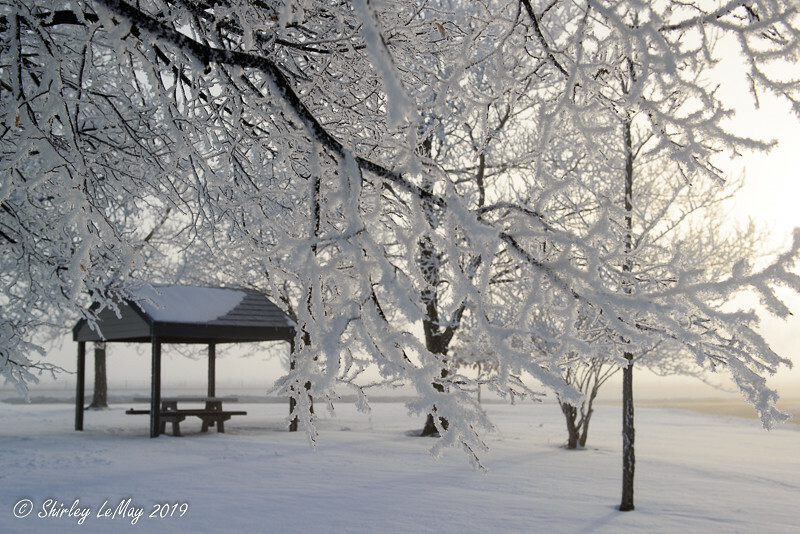 We are accustomed to storms accompanied by wind, but this storm was unusually calm, resulting in trees flocked with ice crystals and the quiet that snow leaves in its wake. Taken Saturday morning during a trail run. I convinced three running friends to join me in breaking through the fresh snow. Wow, it was hard work, but so lovely to experience. 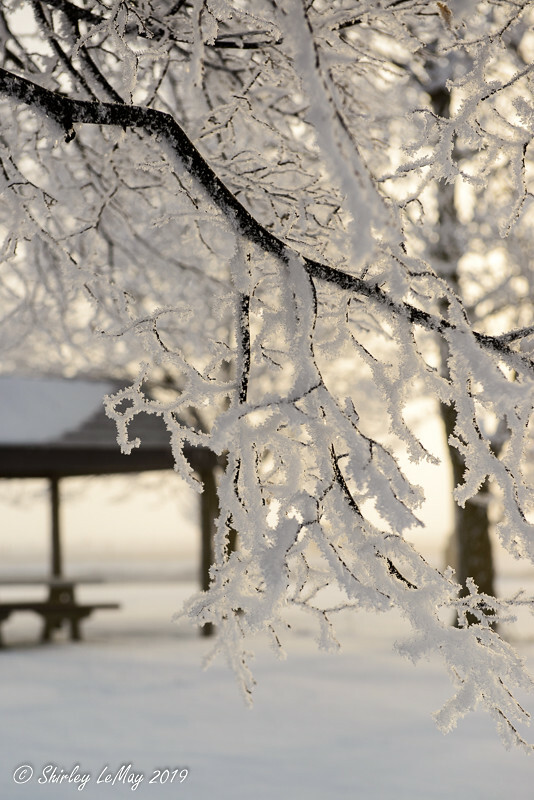 Two days later, freezing fog hit the area, along with single digit (Fahrenheit) temperatures. I've counted two other freezing fog events this winter (the other two were in December), a record for a winter's season. Like the last event, I decided to take a detour on my commute to work and stopped at a Rest Area. The difference from the last event - an abundance of snow on the ground. You go that right - this is Rest Area on an Interstate Highway. I had to time my photos with the truckers pulling out of the parking lot. Nature always finds a way to shine, even on the Interstate. 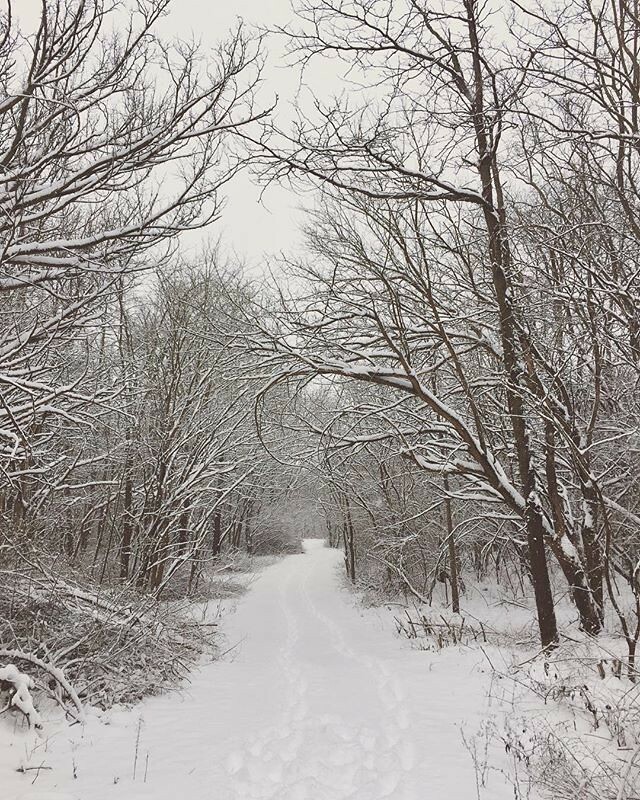 Shirley, these wintry photos are fabulous. 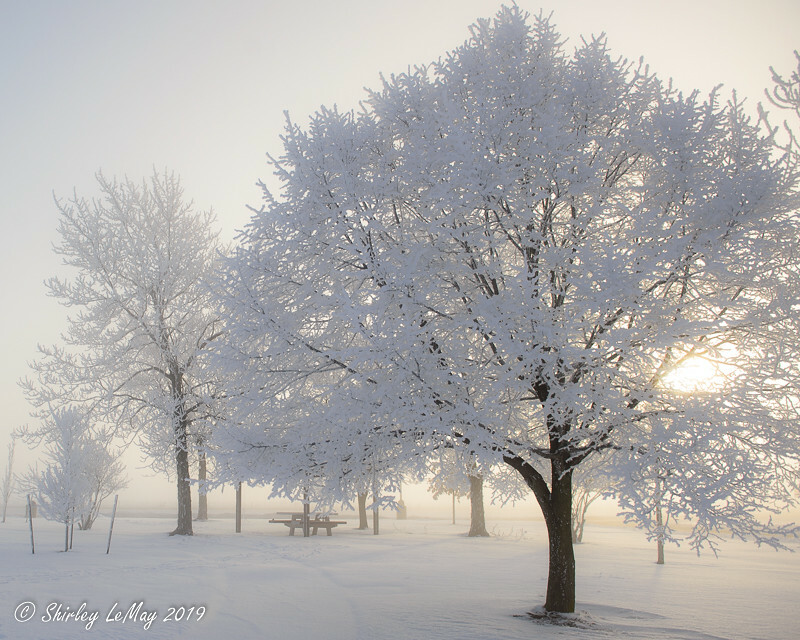 I love the ice fog on trees as the light silhouettes them. Great shots!